Optivisc is a top-quality viscosupplementation developed by Biotech Healthcare Group. Now available for purchase from Medisilk, this innovative Hyaluronic acid-based 5-injection supplement provides a non-surgical, yet highly effective knee treatment for patients suffering from knee osteoarthritis. It has an incredibly affordable price and the power to quickly relieve symptoms such as stiffness, knee pain and to even improve knee joint mobility for up to half a year. 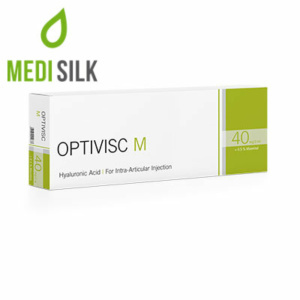 Since Optivisc contains 20mg/ml of premium-quality HA that has been obtained through a process of biofermantation, it delivers results which are several times greater compared to other viscosupplements available on the market. It does not lead to any long-term or harmful adverse effects since it does not feature ingredients of an animal origin and its healing effects last for about 6 months making it a truly ground-breaking knee osteoarthritis treatment. What does this knee treatment involve? 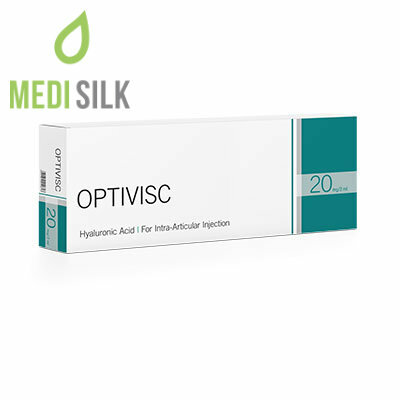 Optivisc is applied with an intra-articular injection by a qualified medical practitioner. This procedure typically takes about half an hour or even less than that. This world-class orthopedic product comes in a prefilled single-use syringe that has been properly sterilized. Patients start to feel the effects of the treatment shortly after the first injection session. To prolong the achieved results, additional appointments need to be scheduled every few months.